I have two possible solutions for your chaingun dilemma . 1. 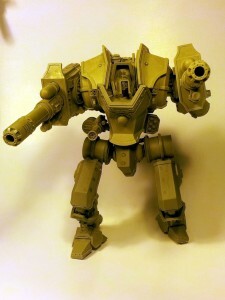 Have the ammo , motor and ejection port as a one piece removeable section, you can just flip it 180 on the other gun, saves sculpting a mirror chaingun. 2. 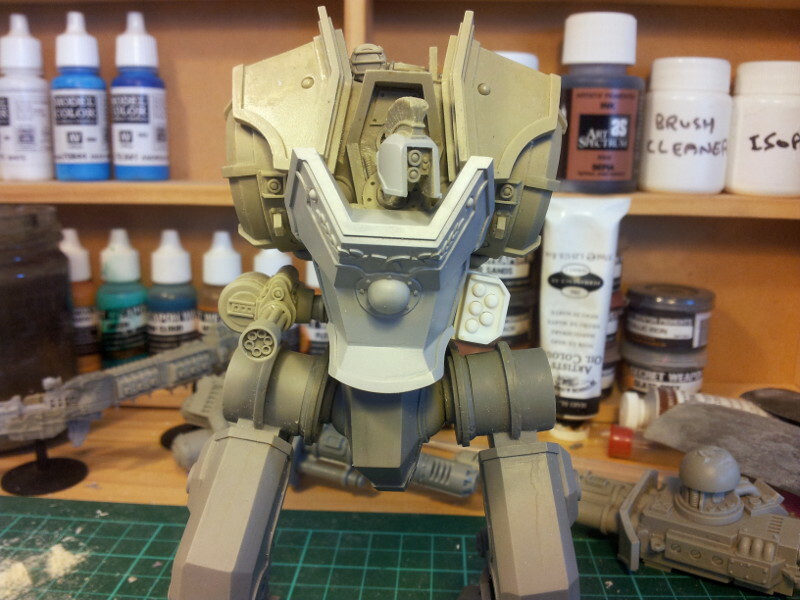 Forget the motor ( the centurion has its own power, so why does the chaingun need an external power supply?) . You can instead have an ejection port on both sides, a separate piece could then glued over either port during assembly. Or leave the sides blank and have an ejection port separate, to glue on whichever side you like. Hey Dave thanks for the comments! 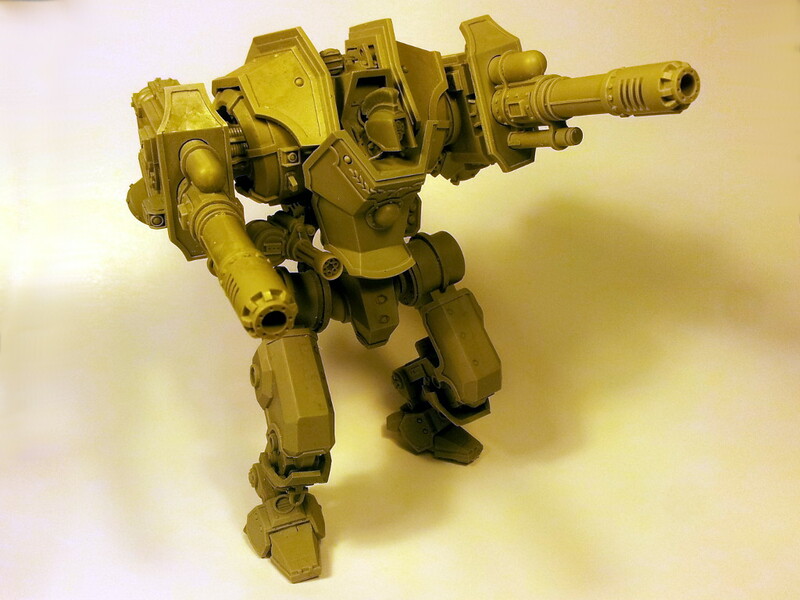 I actually completed the chaingun a few weeks back, but hadn't posted it. The reason being that I wasn't 100% happy with how it had turned out and was still deciding on the solution. I spent some time this weekend on it and have come up with a solution I'm happy with. 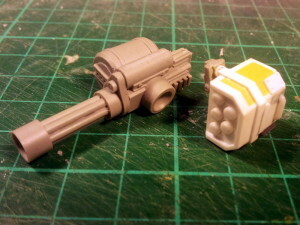 Originally the intention was to have one gatling cannon on each side, limiting the design as I had to make it easily mirror-able (so that I didn't have to scratchbuild two complete separate guns). The problem was that I wasn't 100% happy with it. 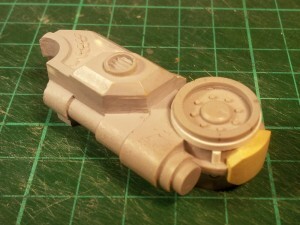 The gatling cannon design was OK and could do with some durther detailing/refinement. My main concern was that everything was just looking far too symmetrical: the mirrored main cannons and now the close in defence weapons. I felt that it made for quite a boring design, so the decision was made to ditch one of them in favour of something else. 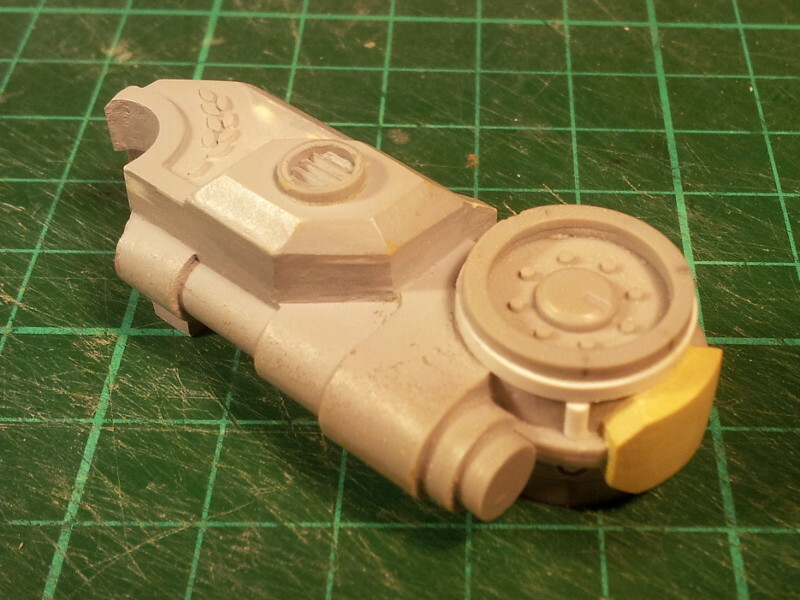 This was particularly annoying since I'd already made design compromises to make the gatling cannon easily mirror-able and I'd already made gatling cannon moulds for both sides! I threw around several ideas for the "something else" before settling on something I liked. Initially my mate Seb suggested smoke launchers, but I didn't like the aesthetic of the standard tank mounted smoke launcher. 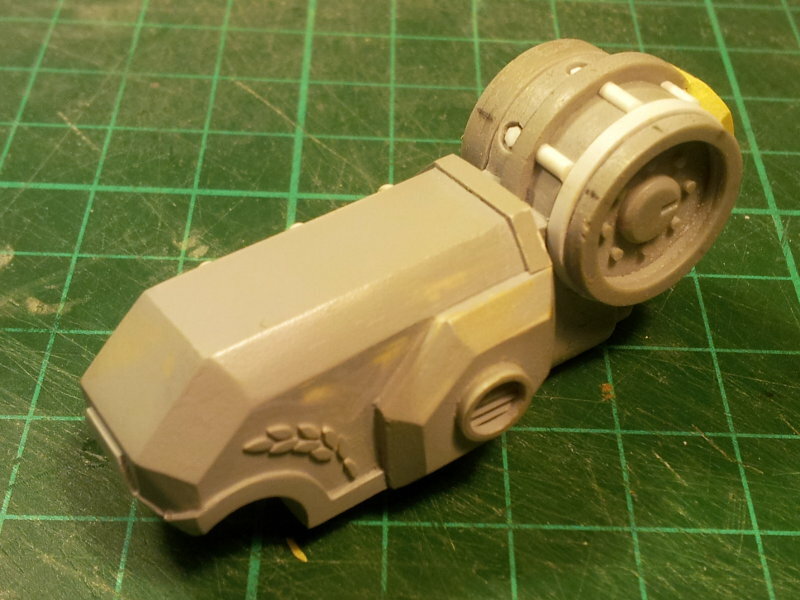 I toyed with the idea of a sensor pod and then just a plain armour plate (of which I even made a mock-up in styrene) but ultimately decided to return to some kind of smoke/chaff launching system. 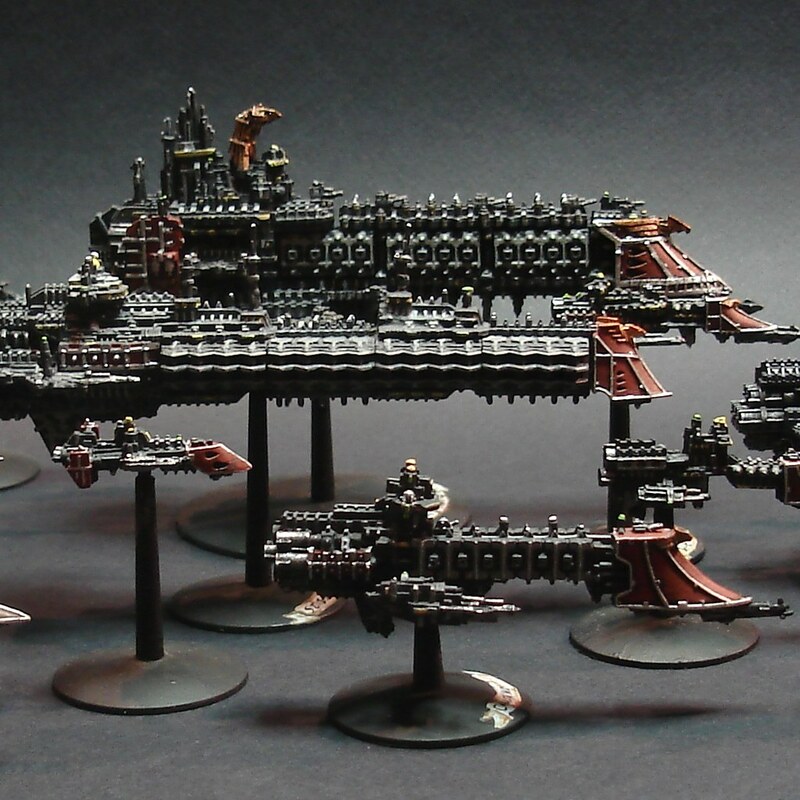 I was inspired by some photos I took aboard the US Amphibious Assault Vessel "Bonhomme Richard" as the guest of Battlefleet Gothic "royalty" Nate Montes last year and the countermeasures launcher pods mounted on the side of naval aircraft. 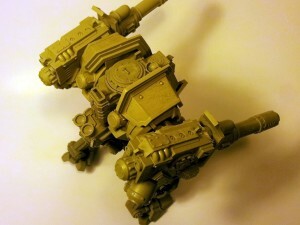 Here's what I came up with: the galting cannon and smoke launcher. I realise the smoke launcher looks similar to a missile pod - they have very similar functions so it's not surprising. 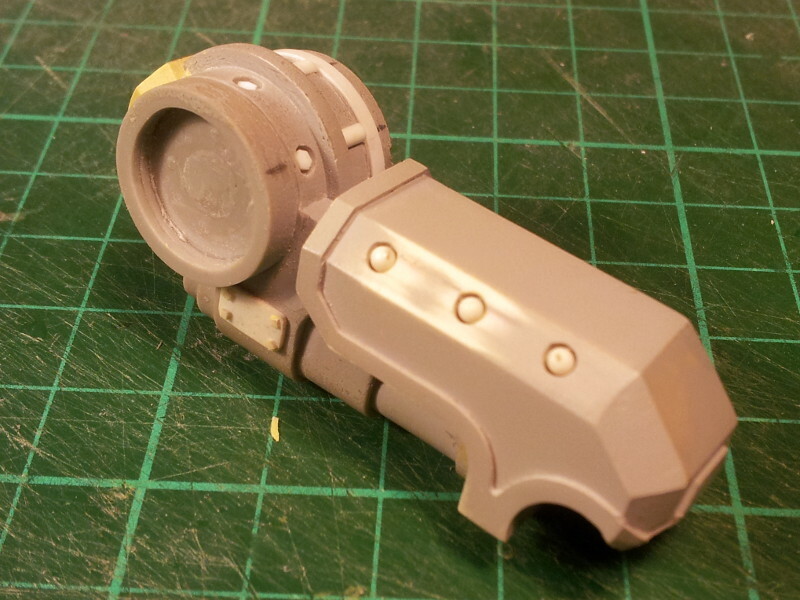 Hell somebody can claim it is a missile pod on their model if they want! Subtle, sure, but it's just one of those things I need to do to be happy with it. OF coure, that was only a demonstration and I now have to do it for real. After some deliberation I decided to hack up the original gatling cannon master parts. They have no other use and I can always cast more from the now redundant moulds if need be. 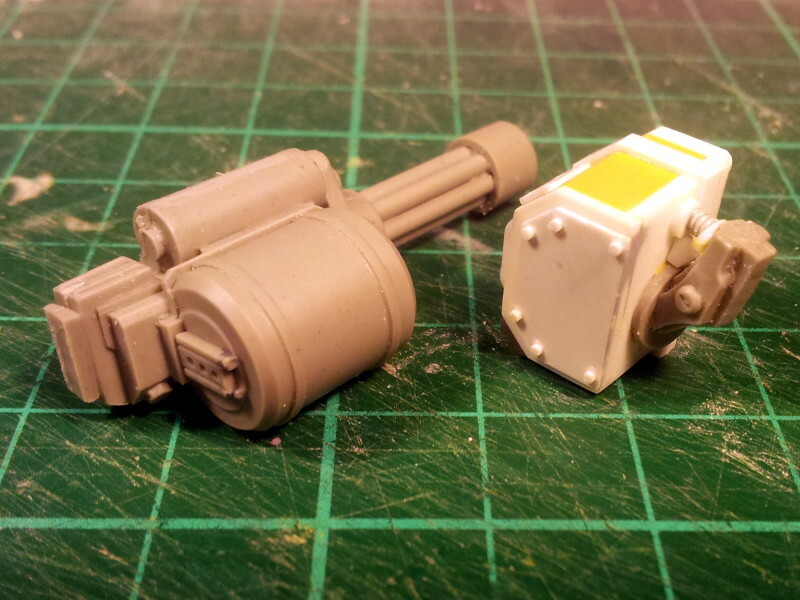 Plus I'll take the opportunity to update the gatling cannon a bit more: it really needs another detailing pass! Trust me to mix my motors with generators! looking cool so far, I do think a little camera sensor would be a nice addition to the counter-measure pod , even a little robotic head on the side of it. like its an independent Ai system. 3 weeks is really pushing it, good luck sir! Yeah a sensor lens might be appropriate, but there's already plenty of them around the place. 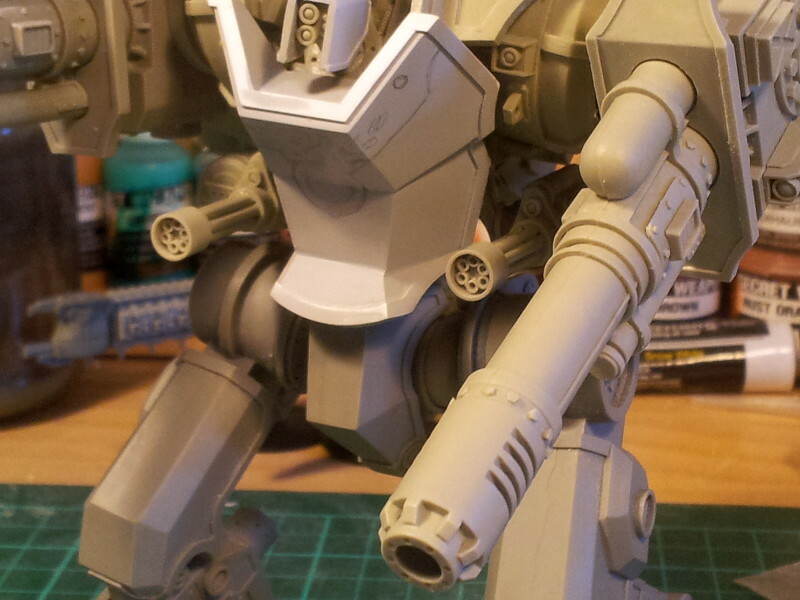 Adding anything more protruding from the launcher pod would be a bit excessive and I feel upset the lines. I might add a little something inside the front of the launcher (in one of the blank areas adjacent to the tubes). We're getting oh so close! Consider these pictures to be of the "pre-release" kit design. As of this week I have moulds to produce them in this format and I have begun casting a few copies for a select few mates before I head off on an European vacation this coming weekend. I was showing this to my mate Jas a week ago and he suggested that in order to match the chest armour I really need to add some extra detailing to the thigh armour plates. I do agree and in fact would like to do another detailing pass over the entire upper legs, however that won't be until the current leg moulds have worn out. Excuse the poor pics: I really should get some daylight bulbs as even colour correcting for the standard horrible CFL desk lamps I'm using for lighting makes the resin look far more yellow than it is! I forgot to take a photo of the completed Gatling cannon and the extra details I added to it. I am however really pleased with how it and the countermeasures launcher turned out. This will be my last post for a few weeks. 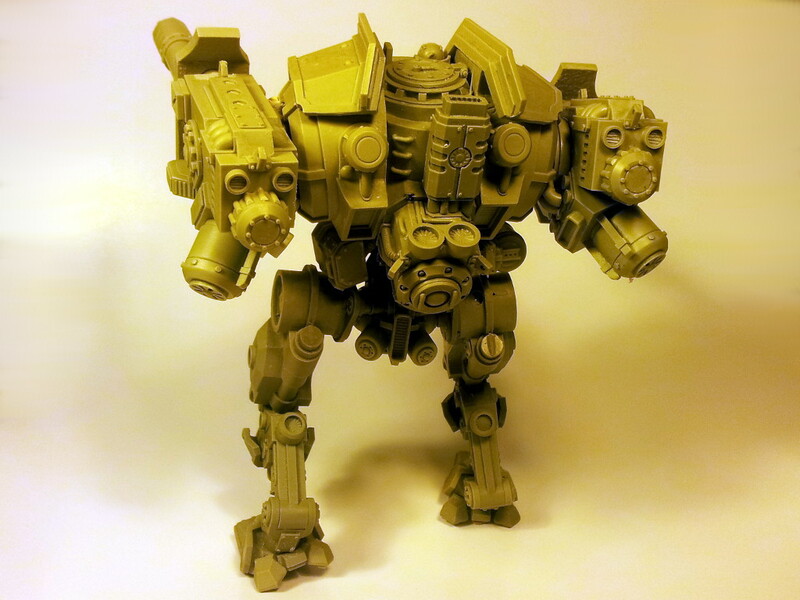 I've got some more big projects planned for when I return from holiday (in addition to volume production of the Centurion) - keep an eye out! Fantastic man, this project took a long time but it's finally done!! How much is this kit going to run do you think? Definitely going to pick up one of these... Perhaps two actually. Though unlikely to be able to do so until August. Are there additional weapons planned in the near future? Well done Zac turned out great! I especially like the engine area and the shape of the shoulders. 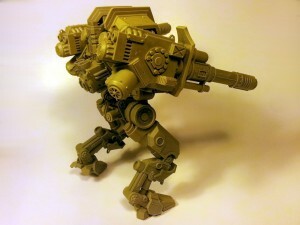 I also like the dog legs , however they do look a bit weak and need beefing up to carry the body I think. Islacrusez wrote: Definitely going to pick up one of these... Perhaps two actually. Though unlikely to be able to do so until August. Are there additional weapons planned in the near future? RageofAchilles wrote: Well done Zac turned out great! Cheers mate! The light looking legs was a deliberate design decision from the start, but it is a very fine line between light and straight up fragile looking. I think they look fine from the front - it's only the rear angles that look a bit weak. I apologise that there haven't been any updates for a while. I had an epic trip around Europe in June (which I actually extended longer than originally planed) and most of July was spent catching up following that. 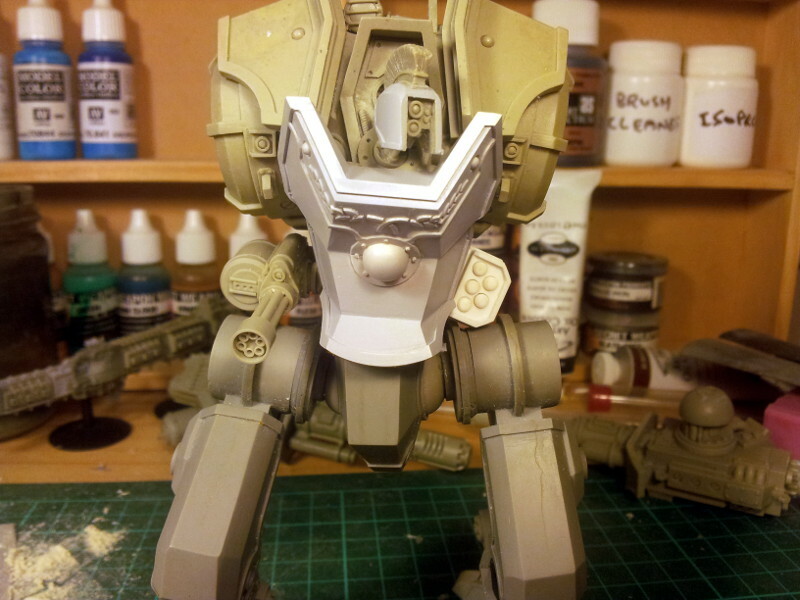 I've been focusing on updating the Centurion's thigh parts: adding extra detail to the armour and the hip "hub". I've got one of them done, as per the following pics and I'm pretty pleased with how it's turned out. It looks good, I like the laurel detail and the recessed bolts. Thanks Krad! Yeah those details were exactly what was needed to bring this armour in line with the torso armour.